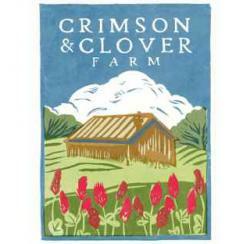 Crimson & Clover Farm is a community based farm located on the Northampton Community Farm in Florence. We grow a wide variety of fresh vegetables, fruits, and flowers for our CSA, our full-service farm stand, and the Saturday Northampton Farmers’ Market. 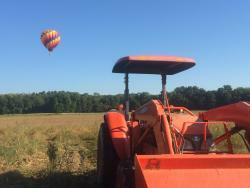 We use organic practices but are not certified. Visit our website for details or to contact us with questions. 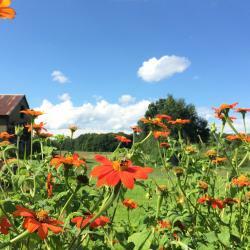 We offer two CSA share sizes available for pick up at the farm. 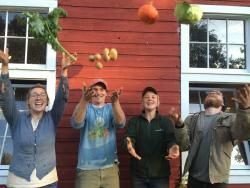 All CSA members will receive a variety of fresh, delicious vegetables grown using only organic methods through our 20 week season beginning in June and running through late October. 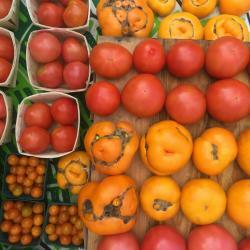 Share pick-up is available on the farm Tuesday 2:30-6:30, Thursday 2:30-6:30, or Saturday from 10-2. 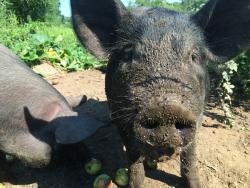 Crimson and Clover Farm also partners with Grow Food Northampton to offer subsidized CSA SNAP Shares. If you have SNAP benefits you can apply them to a season’s worth of fresh, local fruits and vegetables AND have their value doubled!